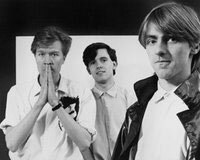 One of the more popular new wave bands of the early '80s, British group ABC built upon the detached, synthesized R&B pop of David Bowie and Roxy Music, adding a self-conscious, campy sense of theatrics and style. 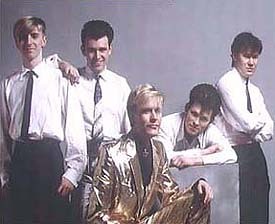 Under the direction of vocalist Martin Fry, the group scored several catchy, synth-driven dance-pop hits in the early '80s, including "Poison Arrow," "Look of Love," and "Be Near Me." It all began in the late '70s, when Fry ran his own fanzine, Modern Drugs, while he attended Sheffield University. 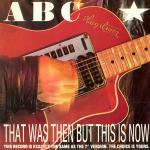 ABC formed in 1980 and by the fall of 1981, the band had signed a record deal. 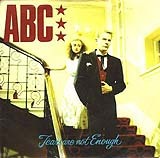 ABC then released their first single, "Tears Are Not Enough," in November; it peaked at #19 on the UK charts. Two singles, "Poison Arrow" and "The Look of Love," became British Top 10 hits in the spring, paving the way for their debut album, The Lexicon of Love, to enter the charts at number one. "All of My Heart" also became a Top 10 hit in the fall of 1982. 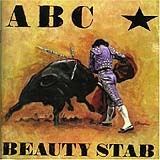 Featuring a harder, rock sound driven by guitars rather than keyboards, and with band members leaving, Beauty Stab was released late in 1983. Supported by the #18 single "That Was Then But This Is Now," the album didn't perform as well as the debut, peaking at number 12. Late in 1984, ABC - now consisting solely of Fry and White - released (How to Be A) Zillionaire, which also failed to set the charts alight. 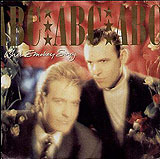 In the summer of 1987, ABC released "When Smokey Sings," which was a major hit, reaching #5 in the US. Alphabet City came next and two years later was followed by Up. Absolutely, a greatest hits collection, made it into the British Top 10 in 1990 and was followed y Abracadabra. After a break from the business, Skyscraping (UK only) was followed by The Lexicon of Live (1999), which in turn was followed by another greatest hits package, Look of Love - The Very Best of ABC (2001). 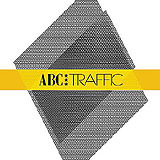 With the original drummer from that last album, David Palmer, returning to the ABC line-up in 2004, the band released an album of original material in 2008 entitled, Traffic. 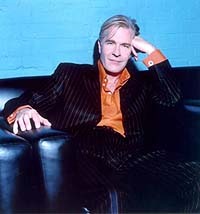 Chatting now one-on-one with the original lead singer, Martin Fry, I took him right back to those early days. Who cares about the odd arm chair that flies out of a hotel window anyway! “Yeah,” he laughs. “But we’d go in and redecorate and restyle it! We were the style generation!" Are there lyrics to songs that you sing now that make no sense to you these days and looking back you’ve no idea where they even came from? “Oh yeah,” he laughs. “When we did the Royal Albert Hall we had to kind of go back to ‘Lexicon Of Love’ to do mixes and stuff. We did a couple of songs like ‘S.O.S.’ and putting them in the setting of an orchestra. And stuff like ‘When Smokey Sings’ sounded great in that context. Because with ‘Lexicon Of Love’ it was like a dream come true, genuinely. It was like how we all imagined it originally - as being all lush and orchestrated. And we were able to take it a stage further." And finally, with the sudden, and tragic passing of Michael Jackson a couple of days ago, what are your thoughts or memories of the man? “He died young. He died young. He had another ten years in him, definitely. Everybody in the UK was waiting for him because of that sold-out tour. I mean, he was rehearsing at the Staples Center at 10 o’clock Thursday night and then dead Friday 12 o’clock. That’s just wrong. He was a massive icon. He was Elvis of this generation. His music was fantastic. ‘Off The Wall’ and ‘Thriller.’ Yeah, definitely. We had the same manager as him, Ron Weisner. But no, I never met him." 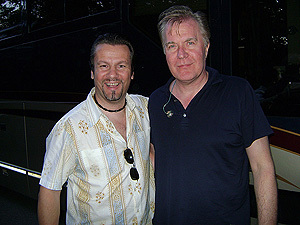 Now Read The Latest ABC Live Concert Review From Their Regeneration Tour 2009 Stop in Detroit!